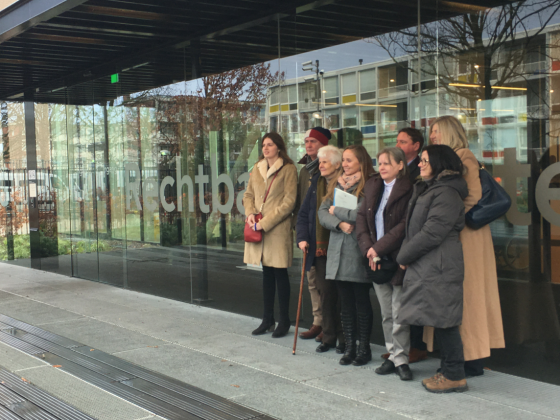 Next week, five British nationals living in the Netherlands will hear if their bid to keep European citizenship after Brexit will be referred to the European court. London barrister Jolyon Maugham QC, who is funding the legal action, says if they win, it will have profound consequences. The Conservative manifesto of 2015 promised to scrap the rules barring those who had lived abroad for more than 15 years from voting. Still, long-term British expats were denied the chance to vote in the EU referendum the following year. And their concerns about what Brexit would mean for their lives went unheard. Matt Elliott, Vote Leave’s chief executive, promised that ‘the EU’s freedom of movement rights would be honoured for all those citizens who reside in other EEA [European Economic Area] nations prior to any treaty changes. But the joint report of the EU and UK on phase one of the withdrawal negotiations does not deliver on that promise. Take, for example, Susan, who lives in Amsterdam with her husband, who uses a wheelchair. She keeps the two of them on the modest earnings of a dance teacher. Half of her income comes from working abroad. Before Brexit, her free movement rights meant she could give workshops throughout the EU. But there is no guarantee she will be able to travel and work freely and cheaply throughout Europe after Brexit. She cannot know if she will earn enough to stay in the Netherlands. Or James and Jessica, currently studying in Manchester. As things stand they have no automatic right to return to live with their family in Spain when they’ve finished their degrees. They are why the case heard in the district court in Amsterdam on Wednesday is so important. Long-term EU resident UK citizens experience Brexit not as a democratic process in which they’ve participated but as a thing that has been done unto them. And done in ignorance. And with a profound effect on where, and how, and with whom they live. The court was asked to refer a question on article 20 of the Lisbon treaty to the court of justice in Luxembourg. And that question was this. EU citizenship gives each of us the right, in particular, to live and move freely within the territory of the member states. And article 20 says that if you are a national of a member state, you are also a citizen of the EU. In other words, your national citizenship is your gateway to your EU citizenship. And it also says that EU citizenship is a separate thing, over and above, your national citizenship. A series of cases in the court of justice suggest that EU citizenship might – the cases don’t get to this point but they approach it – survive the loss of that gateway. Yes, you need member state nationality to become an EU citizen – but you don’t necessarily lose that EU citizenship if you cease to be a member state national. So if you stop being a national of a member state because your state ceases to be a member of the EU – Brexit, in other words – might you still retain your EU citizenship? This would have profound consequences. Profound for that group of 1 million UK citizens living in Europe to whom Brexit was a thing done. Profound for the dynamics of our negotiations with the EU: EU law in its generosity might give rights to UK citizens living in Europe that UK law would not reciprocate for EU nationals living here. And maybe even profound for the rest of us, us 60-odd million UK nationals living in the UK on Brexit day who might retain our EU citizenship rights after Brexit. Could it happen? Might these hurdles be overcome? When I was younger I worked briefly in the cabinet of the Belgian advocate general, the hugely influential Walter Van Gerven, at the court of justice in Luxembourg. I remember sitting down with him for lunch one day and discussing why it was that the European project did not enjoy the same place in the hearts and the minds of citizens of its – then 12 – states as the United States did in the residents of its 50 states. It was, I suggested, because Europe felt a long way from the lives its people lived. So, whatever the community’s accomplishments, they had no emotional resonance for its people. For them, Europe was a purely technical project: algebra and not poetry. I believe this remains true now. But I also believe that the court knows of this gap between perception and reality. And I know that, if the question goes to Luxembourg, the court of justice, as it grapples with the legal and political calculus, will want to fill this chasm. It will want to invest in the idea of EU citizenship. It will want to bring Europe to life for its people. This article was first published in the Guardian and is reprinted here with kind permission of Jolyon Maugham.